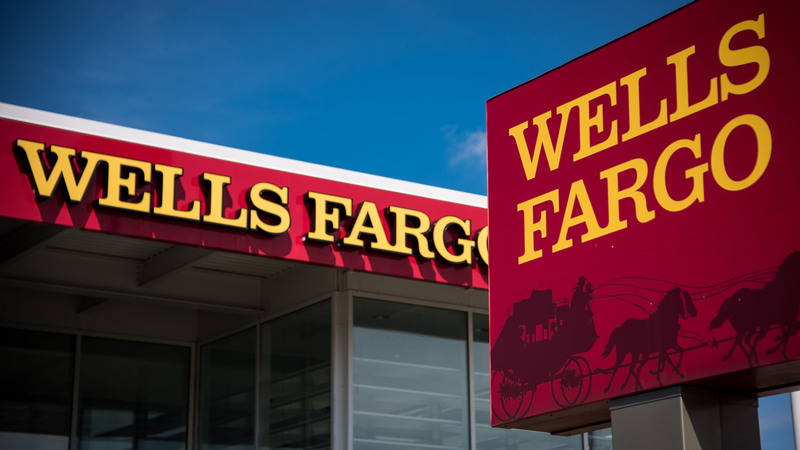 Post Wells Fargo Fake Accounts Scandal — How is Signing Up For A Wells Fargo Account? Wells Fargo is desperate for new accounts and customers in the wake of them uncovering millions of fake or fraudulently signed up for accounts. In some ways this works out great for the consumer as Wells Fargo is pretty much bribing people, by way of bonuses, into being customers. While this sounds great has Wells Fargo really changed their ways of trying to set up products that you don’t need or signing up for fake accounts? Since the massive scandal I’ve signed up for two accounts, one a personal checking account that I did entirely online and second a business account which I had to go in-branch to set up. When I opened up both of these accounts I did it for the explicit reason of obtaining these bonuses. The personal checking account was a bonus for $250 and business checking for $300. Both of which are outstanding bonus rates for a national bank. I wanted to share both of my experiences with opening up these accounts and where I see the old Wells Fargo ways evident and where I see changes that they seem to try to be making for the better. Sometime around the month of March, Wells Fargo was offering a $250 bonus for opening up any personal checking account, this deal was too good to pass up due to its low requirements to qualify for the bonus and large bonus amount. This account works well as a money order deposit account that I’ve been using for the past couple of months, most large national banks don’t like you depositing many money orders and can shut down your accounts. The signup process was all done online and I never set foot into a banking branch. During the online registration process I did come across some things that were concerning that if someone wasn’t careful to uncheck some things could sign you up for things you didn’t want. The first one I found was that it really pushed you to open up a savings account bringing you through many screens to deny opening up a savings account over and over again. Second that I’ve found was when it was offering overdraft coverage it automatically checks it off for you which results into a hard pull of your credit and may open you up to additional fees by Wells Fargo if you happen to overdraft your account. I personally tend to opt-out of these features to reduce any sorts of fees that I may incur. Obviously you should only spend what you have and be conscious of how much money you have at all times to prevent this sort of thing. Overall the online signup process was painless and if you read through everything and took your time you could catch yourself on any additional signups. When signing up online it offered a generous amount of detail on what exactly you were signing up for and was transparent on exactly what was happening. After I ended up signing up for the account it took about a week for my welcome packet to arrive with my debit card and all account disclosures, after that it took another couple of weeks for me to complete all the bonus qualifications and to receive my bonus. Only recently and to the end of the year Wells Fargo is offering $300 to open a new business checking account. Without hesitation I made an appointment with my local Wells Fargo business banker and met with them to set up a new account. Meeting with a person over online adds so many more variables and experiences with opening an account. The business banker was very friendly when I met her she was eager to make small talk and ask me questions about my business and what I was looking to open up. While she was getting the standard information from me to open the account she was very friendly to explain all the features of the accounts and get me matched with the right one. When it came down to type of account that I wanted to open she understood the right account that I should open and recommended the perfect one, however when it came to extras she was quite pushy. She really tried hard to have me open up a business savings account which I had to deny multiple times and get very stern with her on the final NO. She also knew full well that I didn’t do any credit card payments or direct payments to employees but she still tried to get me to sign up for these services anyways which included monthly fees. I felt like after some stern NOs she started to get that I knew what I wanted and I was already well-informed about what I needed. While I can’t comment much about the online signup process because it went so smooth and was transparent I can’t say the same for my in-branch experience. I understand that every banker is really a salesman and the more they sell you on things the higher their numbers are, but there’s a point where you become too pushy that you end up just pushing people away. I’ve always been one to do my research first before doing things, it was an advantage that I knew exactly what I needed and didn’t fall into signing up for anything that I didn’t. I think that the take away from this whole experience is to be educated and do at least a little bit of research and don’t be afraid to push back.